Celebrate the many colors and interprstations of the Dark Side prism with our Prism Variations Collection. 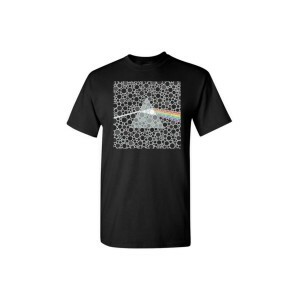 These creative reimaginings of the classic prism are available on 100% ring-spun cotton tees for a soft, comfortable fit. This is a print-on-demand item. Please allow three extra days for processing and shipment of your order. Print-on-demand items may only be returned or exchanged in the case of a damaged item.